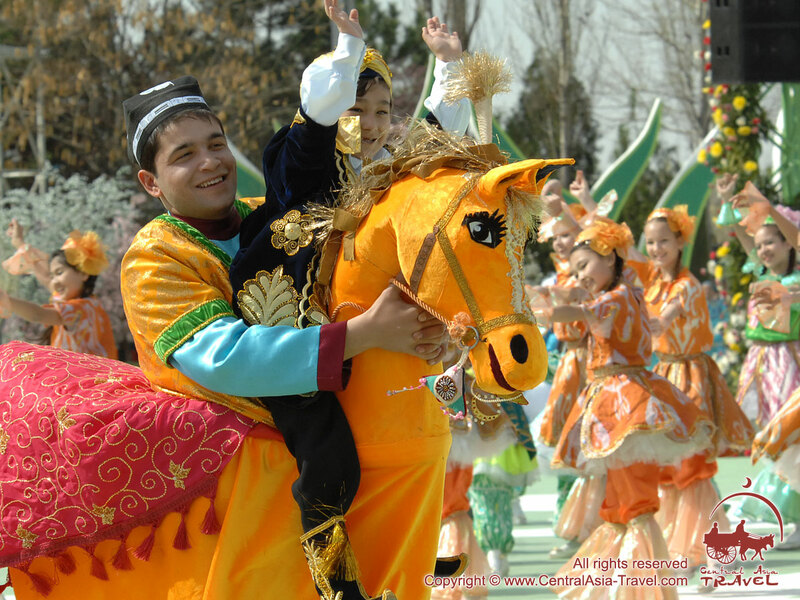 Spring festival of Navruz. 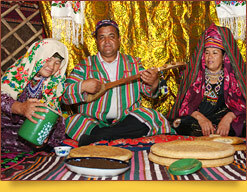 Navruz - the New Year by the Natural Calendar. 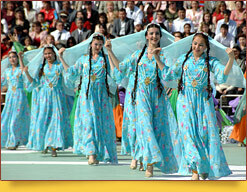 Navruz is one of the brightest, most joyful and beautiful holidays, not only in Uzbekistan, but in the whole Muslim East! 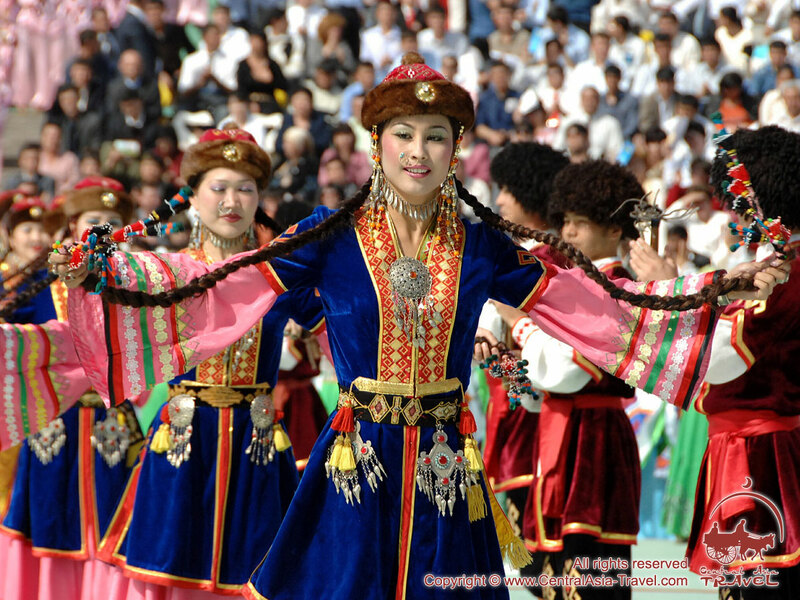 Spring festival of Navruz, the oriental New Year, is directly connected with the coming of spring and is celebrated on 21 March, on the spring (vernal) equinox, when day becomes equal to night and continues to win from it several minutes with every next turn of the Earth, and when the New Solar Year brings a new phase of renewal. The name of Navruz (which is translated from Farsi as ‘the new day’) speaks for itself: it is a new life, new garments, the awakening of the nature after the long winter sleep, a bright sun and people’s happy smiles. Navruz is more than a holiday. The popular belief says, “He who celebrates and has fun on the day of Navruz will spend his life cheerfully until the next Navruz celebration”. 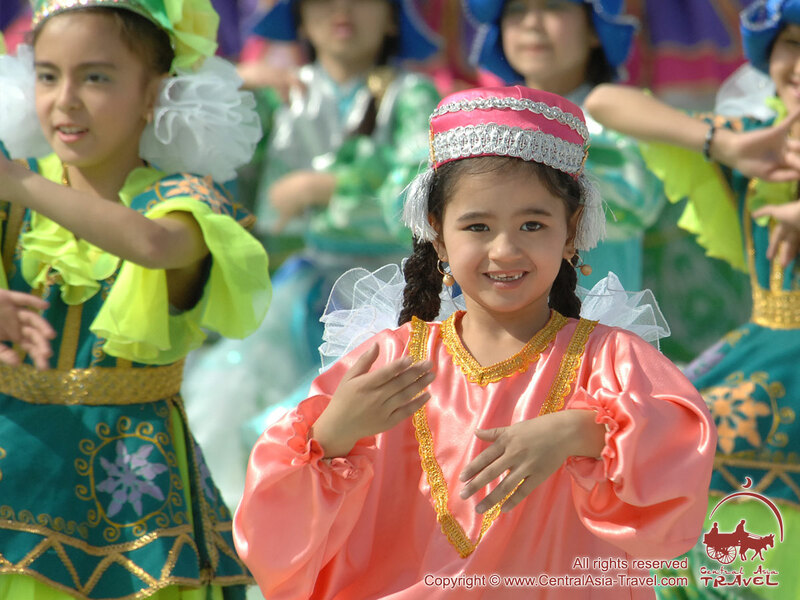 People dance, sing ritual songs and enjoy themselves, happily receiving the spring and making presents to their relatives and friends, as well as to other people, orphans and the poor, who are in need of help. The Navruz holiday appeared at the time when written language did not yet exist and when the cult of the Sun was only beginning to form among the farmers. Navruz gained the official status of a Zoroastrian holiday in the Achaemenian Empire, in 648-330 BC. 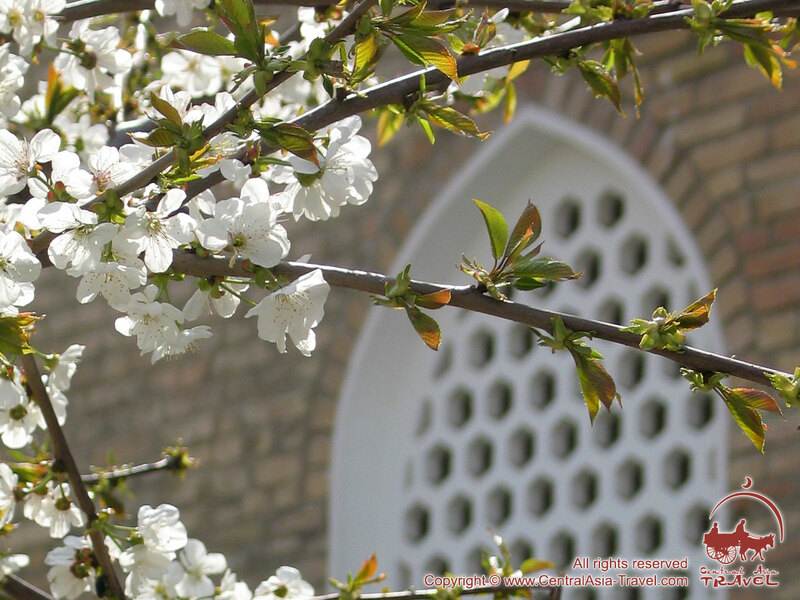 Currently, Navruz is celebrated as the beginning of a new year in Iran and Afghanistan, and as an official holiday in Tajikistan, Uzbekistan, Kyrgyzstan, Kazakhstan, Turkmenistan, Azerbaijan, Albania, Iraqi Kurdistan, India, Macedonia and Turkey, as well as in some of the republics of the Russian Federation, such as Tatarstan and Bashkortostan. The tradition of celebrating Navruz has remained almost unchanged in the course of years. People make special preparations for the holiday: they clean their houses, courts and streets they live in, wash all their clothes and pay away all their debts. The holiday is actually celebrated for several days, with the first day, 21 March, being the main day. 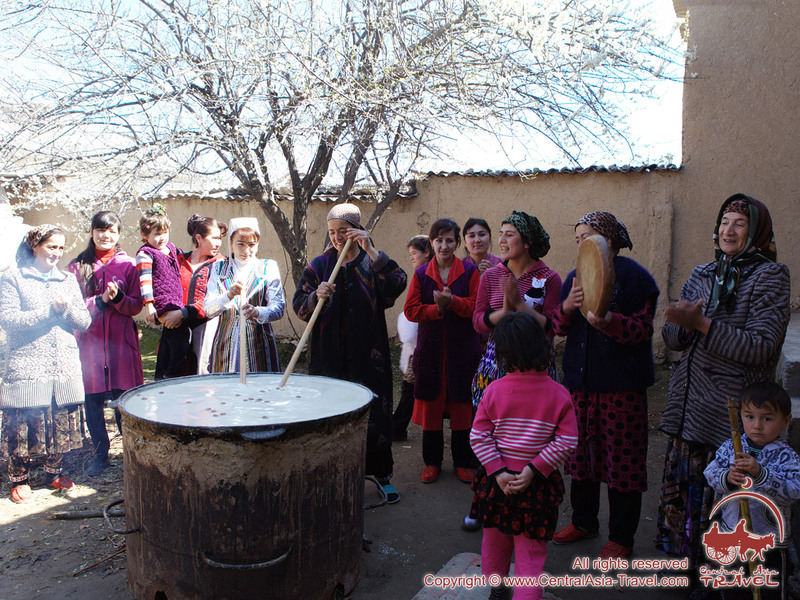 On this day people cook festal meals, the principal dishes being khalisa and sumalak (a wheat bran pudding) cooked only once a year, for Navruz, to which they treat their friends, relatives and all who happen to visit them at this time. 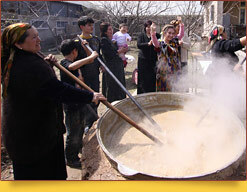 Khalisa is cooked of seven cereals and meat, all of which are boiled into a homogeneous substance. Sumalak is ritual dish based on sprouting wheat grains. People begin to cook these complex meals one day before the holiday. All women of a large family or a community gather around big cauldrons and stir the substance for a whole night, in turns, in order that it does not get burnt on a fire kept up with wood. 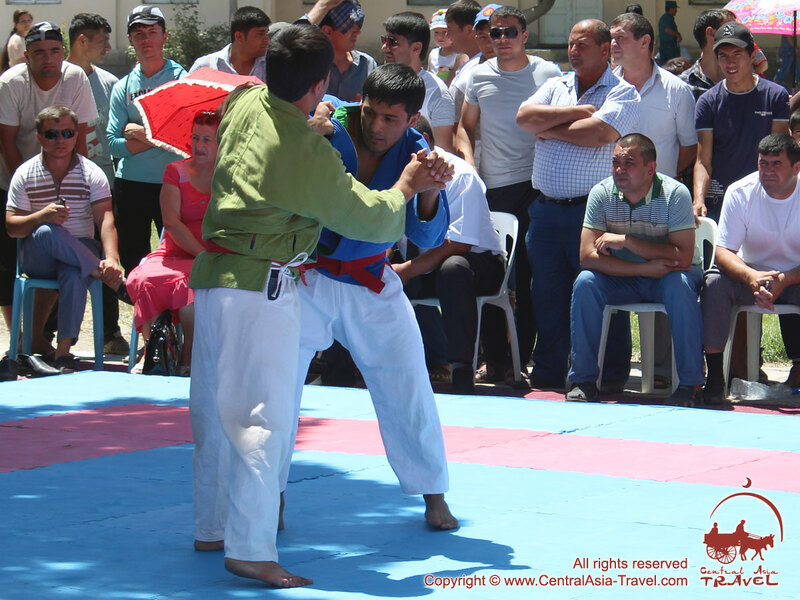 The composition of haft sina is one of the traditional Navruz rituals. The holiday table must have on it seven (‘haft’) foods, the names of which begin with the Persian letter ‘sin’: rue seeds (‘siland’), apples (‘seb’), black seeds (‘siahdane’), wild olives (‘sanjid’), vinegar (‘sirke’), garlic (‘sir’) and sprouting grains (‘sabzi’). The greater diversity of food there will be on people’s holiday tables, the more crops the following year will bring. The dishes that are invariably found on the holiday table are pilaf (also spelled pilaff, plov, pilau, pilav, polow, pulaw, pulao), shurpa, boiled mutton and kok-samsa (pasties filled with young herbs), together with food symbolising revival and a new life, such as sprouting wheat grains, boiled eggs and others. For the next 13 days that follow 21 March people visit their relatives, neighbours and friends, organise joyful festivities, holiday bazaars and sports competitions, plant young trees and start working in the field. People believe that angels descend upon the earth on the days of Navruz to bring the people wealth and make them happy. However, they visit only those homes filled with peace and harmony, which is why people try to forget about hostility, grievances and others’ debts. And it is not quite clear, whether it is Navruz or the warm spring sun that makes people actually brighter and kinder, but they really become so, and each longs to return to their roots, feeling happy at seeing new green grass and the smallest awakening bugs, in a word, loving with all their heart their own life and the New one that is just beginning around them. 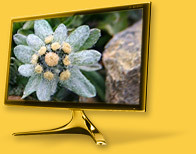 Nowruz - Oriental New Year Holiday .